The weekend break is here, Josh Jaques sent in this image and needs your help. Josh says, “Here is the seedling that I spoke of in my comments on your blog. Would love to get some feedback on compatible dormant plants to cross it with. I love your blog! 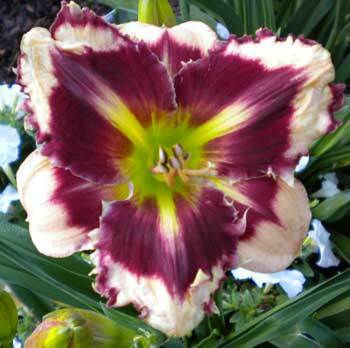 Josh red teeth are rare on daylilies. You asked for a dormant cross. One I’d try would be FIRECRACKER PARADE. Stamile’s ORANGE GROVE is evergreen but has the dormant STARTLE in it so that’d be another possibility. The third cross that might work would be Jamie Gossard’s Sabre Tooth Tiger. 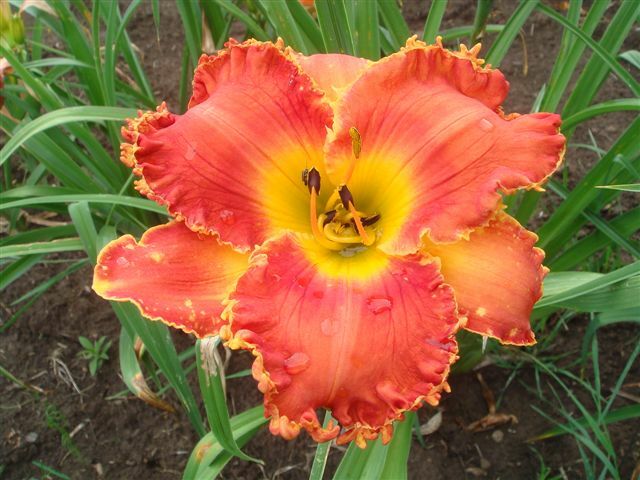 Readers if you can suggest a daylily or two, please comment. 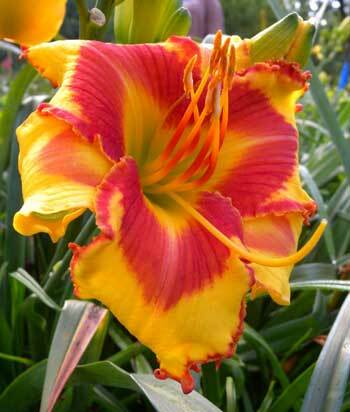 Back to Dave, on Brother Charles, Monday on the Daylily Teeth Blog. Gerda Brooker and a toothy seedling tomorrow. This entry was posted in Introductions, Seedlings and tagged Firecracker Parade, Josh Jaques, Orange Grove, Red Teeth, Sabre Tooth Tiger. Bookmark the permalink. How about Prickly Heat as a compatible cross (Forestlake Ragamuffin x Licorice Candy) Hard Dor. Sib to Bonibrae Sharky. 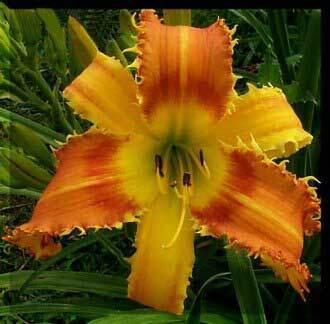 Hybridizer’s description ” A sib to last years Bonibrae Sharky; this is the single version of this cross! “TEETH”!!!!! 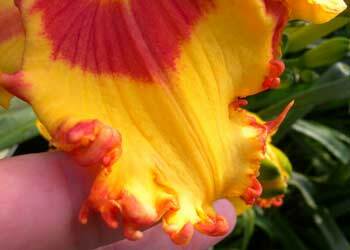 The peachy-cream petals with diamond dusting are surrounded by red teeth with pointy gold edges. BONIBRAE PRICKLY HEAT has beautiful red eyezone above a nice yellow-green throat.B. PRICKLY HEAT like its sib is very pod and pollen fertile”. Based on this you might want to consider Whatley’s Bear Claws (Mexican Sunrise × Startle) or its kid Critical Mass (Mexican Art × Bear Claws) . Critical Mass has a better scape than Bear Claws and you can probably find it much cheaper than Bear Claws which still commands a big buck.